If you are looking for a comfortable accommodation option in Bikaner on a tight budget, then Hotel Bharat Niwas is perfect choice for you. 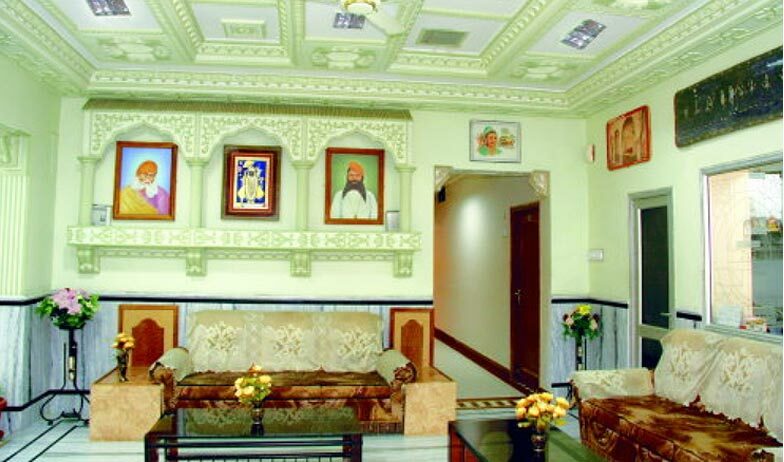 This hotel is a two star property located Sadul Colony area of the city and therefore is well connected to Bikaner Railway station and airport. The hotel offers three basic accommodation options i.e. 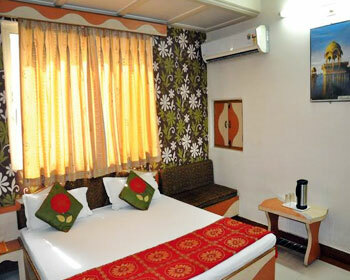 Royal Suites, Super Deluxe rooms and Family rooms to cater to different budget range of clients. 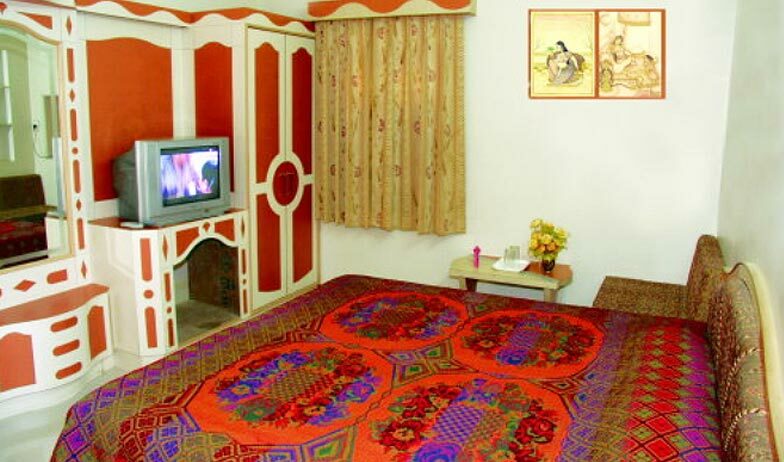 The rooms are well maintained and are equipped all basic amenities to guarantee comfortable stay. 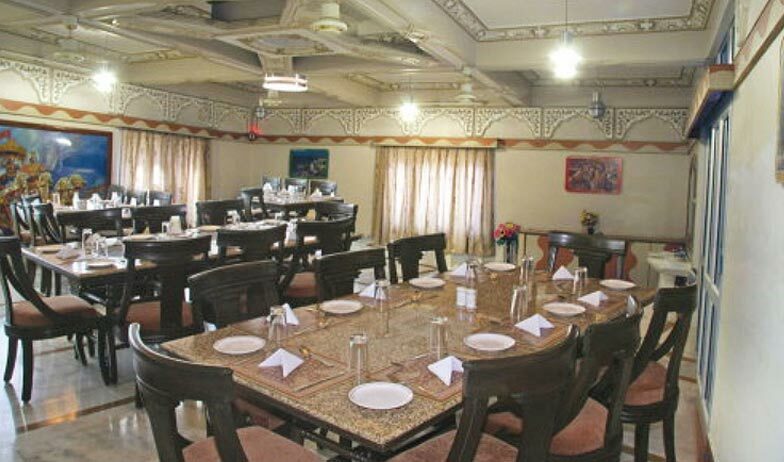 Bharat Niwas also boasts of a multi cuisine in house restaurant that takes care of culinary needs of clients. On facilities front, the hotel offers several facilities and services. 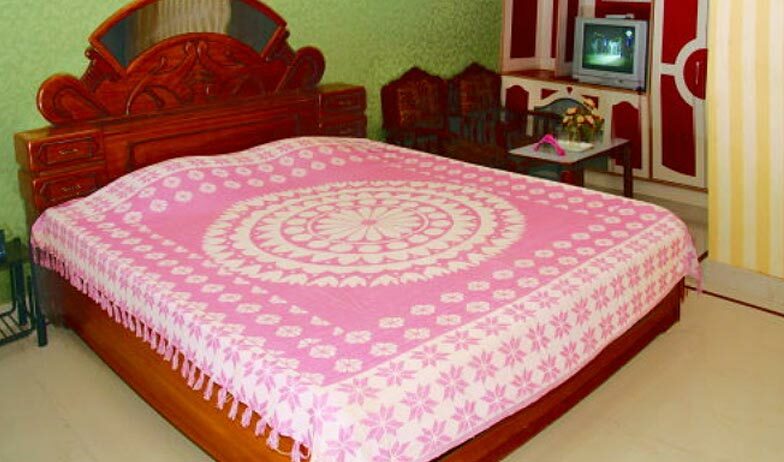 These include same day laundry service, round the clock room service, STD / ISD phone connectivity, purified drinking water, doctor on call facility, car rentals and taxi services, foreign exchange, travel desk and sightseeing arrangements. On special request, the hotel also organizes cultural programs like puppet shows, live music performances, folk dance performances along with recreational activities like came; and jeep safaris. 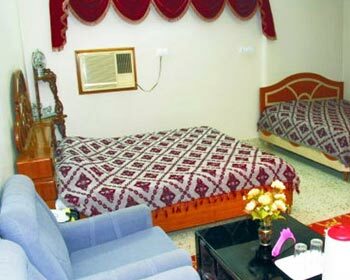 Royal Suites are the finest accommodation option available at the budget hotel Bharat Niwas, Bikaner. The suites are designed to offer comfortable and luxurious stay to patrons who are visiting the walled city. As the name suggests, these suites have royal architecture and rich décor that gives it unique aesthetic appeal. The suites have separate living, dinning and bedding area for the convenience of clients. 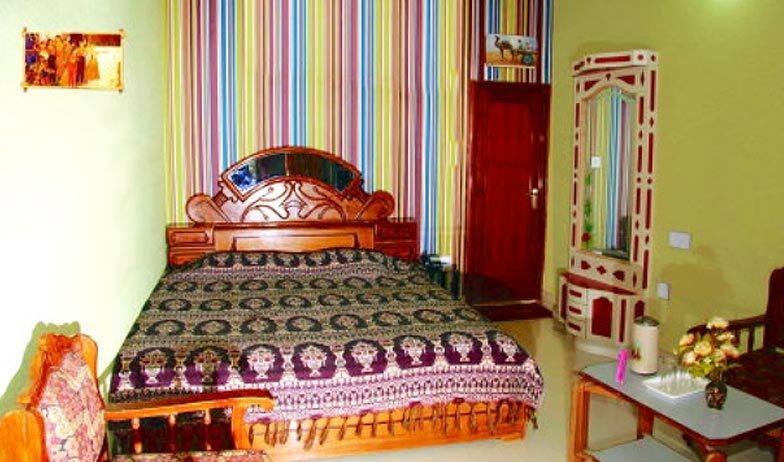 Moreover, they are equipped with premium facilities and features such as air conditioning, color television with cable connection, mineral water, study table, sofa unit, dining table, daily newspaper service, direct dial telephones, private bathroom with shower area, hot and cold running water and bathroom toiletries. The regal charm coupled with contemporary amenities has helped Royal suites win hearts of many guests. If complete comfort is what you seek within tight budget then the Super Deluxe Rooms offered by Bharat Niwas Hotel are ideal for you. These rooms have opulent décor and regal architecture which give it a unique feel and appeal compared to its competition. 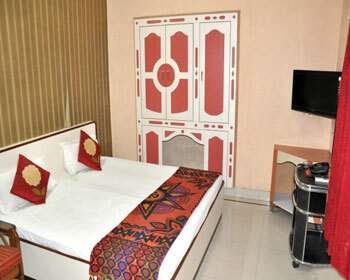 The Deluxe rooms are also fitted with many modern day facilities to cater to any and every request of clients. These include a private bathroom with separate shower area, sofa unit, study table, comfortable bed, direct dial telephones, mineral water, color television with premium channels, daily newspaper and air conditioning. The Family rooms available at the Bharat Niwas hotel are aimed at offering comfortable accommodation option to group travelers or families who want to spend quality time together while on vacation. These spacious rooms are designed to reflect the regal charm of the city of Bikaner with its architecture and regal décor. Equipped with finest amenities, family rooms address each and every need of clients in the best way possible. The in room amenities include private bathroom with shower area, color television with cable connection, comfortable bed, sofa unit, study table, direct dial telephones, living area, mineral water bottle, daily newspaper, air conditioning and many others. 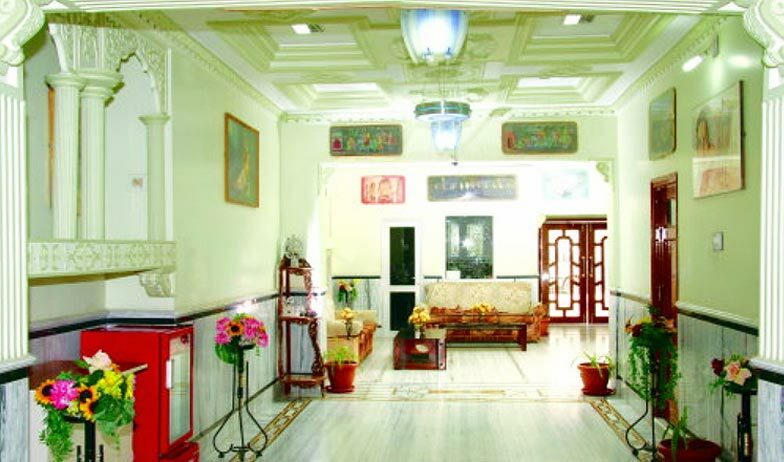 Bharat Niwas is a beautiful Hotel with spacious and well-appointed rooms. Each room is equipped with necessary amenities. The rooms are uniquely designed and offer great look. Take your taste buds on a delicious ride, by choosing to dine at the in house restaurant of budget hotel Bharat Niwas, Bikaner. The restaurant serves popular dishes from global cuisines and specializes in local dishes. The Rajasthani delicacies served here have very unique taste and aroma as they are prepared as per the traditional recipes using rare herbs and spices. Patrons can also order Chinese, Continental and mainstream north Indian dishes here. Clients also have to option of either dining at the restaurant or enjoying the food in the comfort of their room.